Few days ago one of my close friends asked me to meet. She wanted to share her business problems and it was giving me an idea to write something. She really got a very hard time and situation in her business. She faced a problem that came consecutive. One problem has not been solved, there is another problem was waiting behind. Even worse, she felt so difficult to find the way out for any of their problems. She felt like in the middle of very tight wall where there is no a loophole at all to get out and seems there is no one could help. Began to desperate, chaotic, lost its direction and hope, and sadly she starts thinking to try the ways that not supposed to do. My beloved readers, whether you have experienced the same situation with my friend? I do believe that we all have experienced the same situation or maybe even heavier than my friend. In the life that getting difficult day by day, the problem increasingly feels closer to us and easily hit our lives. One question arises, when the world goes against us, when all the circumstances aren’t like what we expected, when we feel like giving up because there seems to be no hope anymore, where would we go? In a weakened state, confused and lost its direction, we could easily be tempted to take the wrong roads that not solve the problem but instead will add a lot of our problems list. So where would we go and what would we do? This time I would like to ask you to learn from one of the Bible story. Let’s take a look at the story of a blind beggar named Bartimaeus who met Jesus in Jericho. This encounter brought the great restoration in his life. Because his condition is blind, he cannot work. So to survive he became a beggar on the roadside. One day Jesus was passing not far from where he begging. When he heard that it was Jesus of Nazareth, he began to shout, “Jesus, Son of David, have mercy on me!” (Mark 10:47) Bartimaeus was just a blind beggar. For many people there, he was considered too contemptible, impolite, and improper shout to Jesus. Then the people rebuked him. But he did not give up, falter or desperate and not stop shout to Jesus; Bartimaeus even lift up his voice. He realized that it was a great opportunity. He still did not care what people said to him. His faith encouraged him to strengthen his hope. He convinced and trusts that God’s power and miracle will works on him. What heals bartimaeus? Let’s take a look to Jesus’ words, “Your faith has healed you.” Yes! Faith heals Bartimaeus’ blindness. When I ponder this part, I got something important lesson from Bartimaeus. Bartimaeus has a living faith where there is power of trust and hope in it and has a spirit to seek and find. He knew where and to whom he should seek. His faith does not depend on human logic, which did not depend on what people say. He knew his faith is not located on the people opinions but merely a connection or relationship between himself and God. Bartimaeus hold fast to it. We do not know how long he suffered blindness and should be outcasts as beggars on the streets. When he met Jesus, he believed that he found the right person who will bring a restoration in his life. His faith moved him to trust that Jesus will and be able to heal him. He did not remain silent; he proved his faith with action. He did not care and affected by people who rebuked him, he still shouted to Jesus. This is an important lesson that we can get from Bartimaeus. Faith must be accompanied by actions. To those friends who are currently facing hard problems like my friend, allow me this evening to encourage you to learn from Bartimaeus. Let’s imitate what he did. Though outwardly he was blind, but his spiritual eyes are not blind. He has a living faith accompanied with full of hope, trust and not based on what he see. Bartimaeus could not saw Jesus made miracles, he only heard from people who talk over about Jesus. But he really believes that Jesus will make a miracle to him. We might physically could not see and find the ways out for our problems, we might see that everything seems so dark and closed tightly, but let we see every problems with our spiritual eyes. Do not remain silent and just waiting. Our God is omniscient. God knows everything about our lives, both difficulties, suffering, and our needs. But God wants us to act! Bartimaeus action was one thing that attracted the attention of Jesus. Bartimaues has the living faith because accompanied with action. With a living faith come to our God, shout to Him and we will see what God’s response. Bartimaeus experienced a touch of God not only because God’s power works on him but he has great living faith. His mindset knew rightly how God’s personal is which have love, compassion and can do any miracle things. If God willing to heard and answered bartimaeus’ shout, God also will hear and answer our shout. Through a living faith, let us feel the touch of God, feel the power of God working resolve all the problems of our lives. 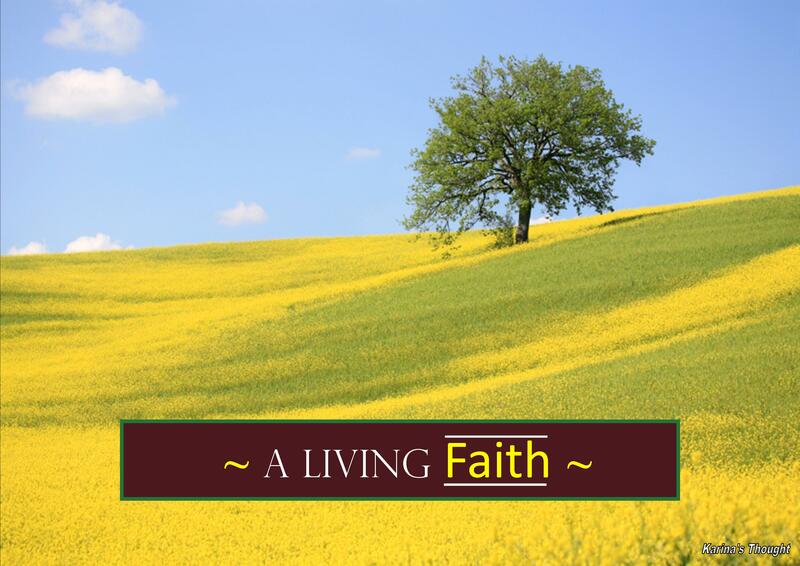 Is like a plant which always needs fertilizer to grow and live healthily, as well as the quality of our faith. We must continue to fertilize our faith by maintaining our relationship with God to remain intimate through prayer, comprehend and ponder His word every day. Always ask for strength from God so that we can change our mindset from “See first then believe” to “believe first and then see” Just because we live by believing, not by seeing. (2 Corinthians 5:7) Amen. Few days ago when I was gardening, suddenly there was a beautiful butterfly landed on my arm. Closely I watched its colorful wings. It was very, very beautiful. Along I looked to that butterfly, I pondered how amazing and wonderful God’s creation. Butterfly experienced four stages of metamorphosis before becomes a beautiful butterfly. Initially started from the eggs that hatch and give birth to larvae (caterpillars), which may be for many people especially women considered to be a disgusting thing. This caterpillar movement would easily make many people shudder in disgust when seeing or touching it. Then the caterpillar will change into a cocoon, and finally from the cocoon it will come out a beautiful butterfly. Gracefully the butterfly will fly showing its beauty. It is really change in total. Another thing crossed to my mind. In our Christian living, Metamorphosis that occurs in the butterfly could we use as an analogy / simple model from a change in life. As Christians we change from the old person becomes a new one. I just thinking that indeed the changes that happen to us are no less amazing than the butterfly. When we accept Jesus, we experience a peace process with the Lord. We previously smeared with sins and do not deserve to be saved, now becomes feasible to accept the great salvation solely through the God’s grace and mercy, through the great redemptive work of Christ on the cross. 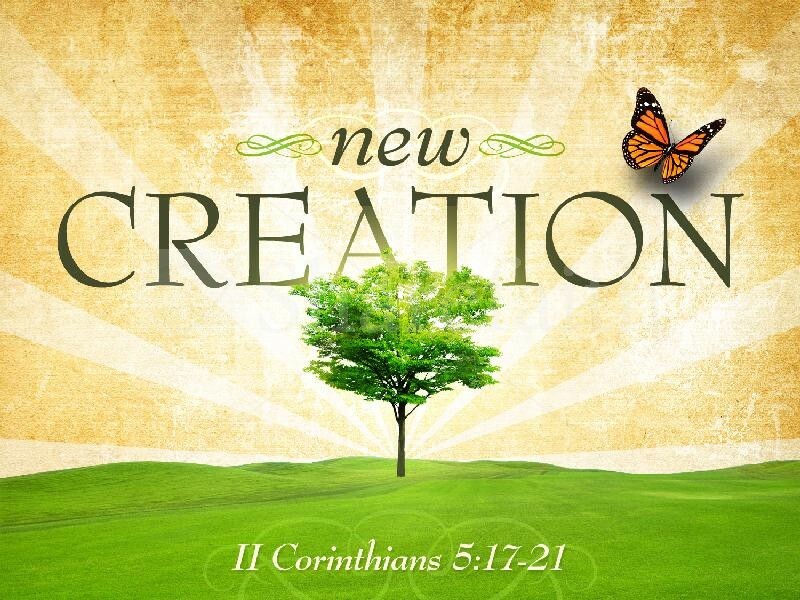 Thus, when we are united with Christ, we also experienced a metamorphosis, totally becomes a new creation. We might previously such as disgusting caterpillars or larvae, now we have a great opportunity to be transformed into a beautiful butterfly with accepting Christ and baptism. When we are baptized as a sign of obedience and our faith in Jesus, all our bad habits and all sin in the past is already death. We restored and transformed. Therefore we should no longer devote ourselves to sins, because the power of sin has been defeated. My beloved friends, let we think and ponder these; How our spiritual quality now? Whether we are thirsty and longing to be transformed totally into a beautiful butterfly or our metamorphosis just stop being a cocoon only? If we have really took off our “dirty clothes” or we are just wearing a new clean clothes but behind in it still lags behind the “dirty clothes” Have we totally put to the death all of our earthly nature? This evening, with all humility, I encourage you let’s together to do not waste the opportunity that has been given by God to be changed, Let us not waste the gift of God that we have received by returning to the deeds of our sins as in the past. Let’s we win the spiritual warfare against the devil temptations, no longer to be a slave of sin, say goodbye to the darkness live, soon come into the God’s light, living in it and has a light of life. We also have to always living in the unity of Spirit and remain walk in the Spirit. Then we could become a beautiful butterfly that brings God’s grace, to be fruitful to those people around us, and finally people will call us as “The whole new creation” Are we willing to? Amen.